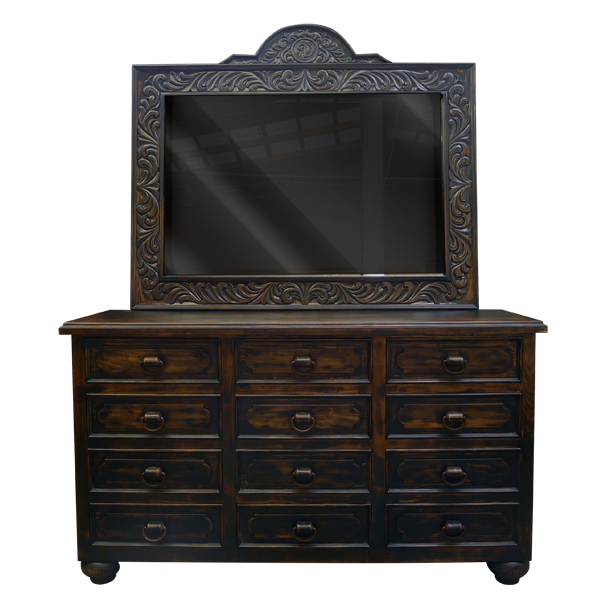 This magnificent, handcrafted, Western style dresser can be purchased alone or with an accompanying mirror. The frame of the mirror is made with solid wood, and it is embellished with luxurious, hand carved, floral and scroll designs. The mirror is adorned with an exquisite, curved, solid wood crest, and the crest has matching hand carved, floral and scroll designs. 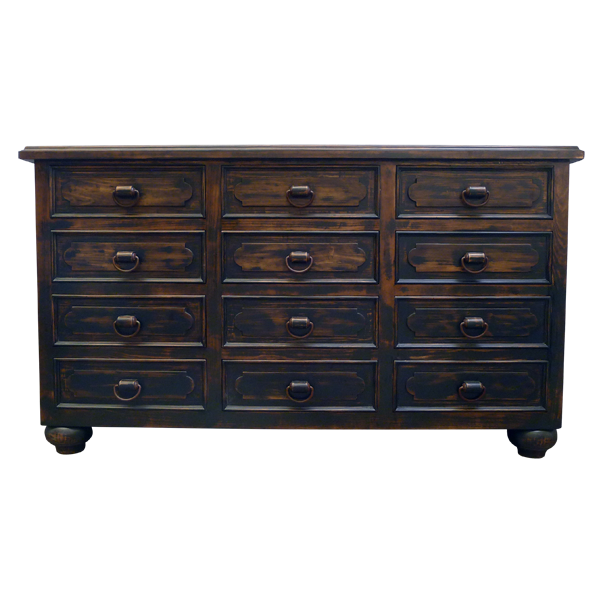 The dresser features twelve, beautiful, rectangular drawers, and each drawer has a hand forged, iron handle in its center. The dresser´s open, wide top has a straight, top rim, and each side of the dresser is adorned with a geometric cut panel. The dresser rest on bun style feet in the front and straight feet in the back. It is finished with an antique, dark, brown stain, and the dresser is made with the best, sustainable, solid wood available. 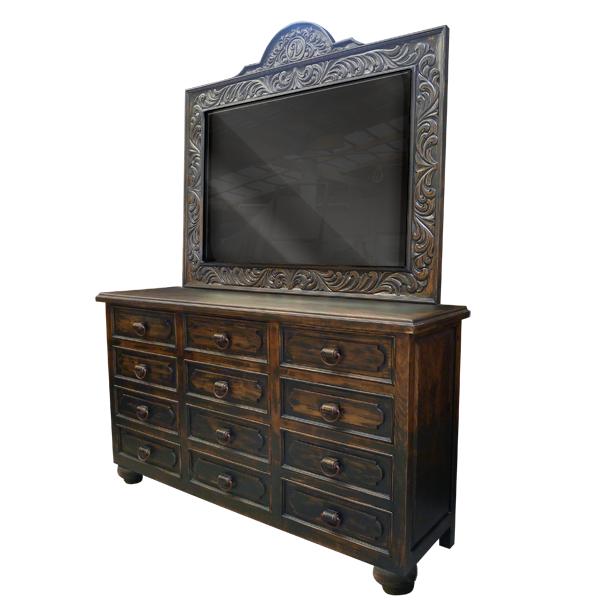 The mirror and dresser are 100% customizable.